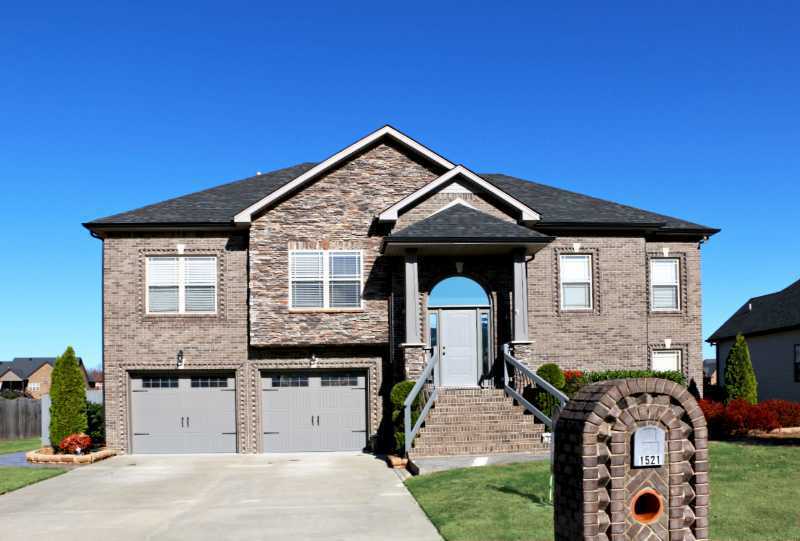 Farmington in Clarksville TN is an affordable community of new and newer homes located in Montgomery County in the Rossview area near I-24. 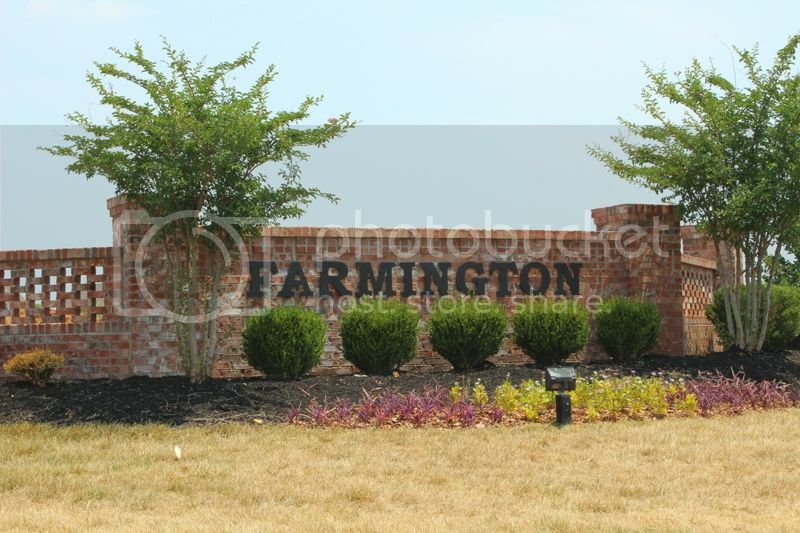 Farmington in Clarksville TN is a premier neighborhood for new homes in the Rossview area. It is situated about 2 miles east of Interstate 24 at Exit 8 on Rossview Rd. The location makes it easy to commute to work being 35 minutes to Nashville and 30 minutes to Ft. Campbell. 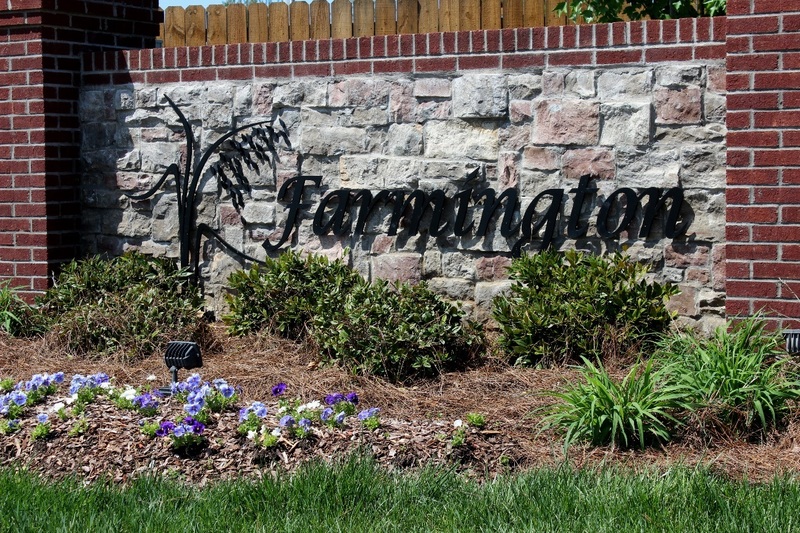 If you want a newer home community, Farmington Subdivision may have just what you are looking for. There are many different styles of new homes and several different builders. Ranch styles, contemporaries, split-foyers and two-story designs are sprinkled throughout the subdivision in Farmington. There are also a few one-level styles. New homes are continuing to be built with a few more new sections to open. Brick, stone, board and batten and stucco create pleasing exteriors. Restrictions require uniform mailboxes and 2-car garages. All driveways must be concrete. This is a pet-friendly community and fencing is allowed in the backyards. You will like the feel of the community as well as its look. 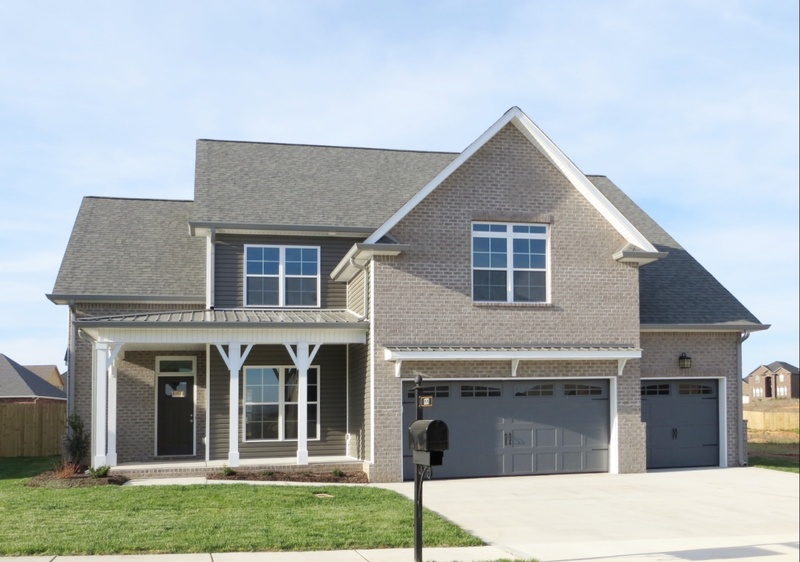 Farmington Subdivision, Clarksville TN has homes from 2,000 sq. ft. to well over 3,000 sq. ft. so there is a size home to fit each homebuyer's needs. Prices start around $250,000 to $400,000. You can even find a few basement homes in Farmington. The choices are good so there is sure to be one in Farmington to fit your needs. Click Here to View the Subdivision Restrictions & Covenants for Farmington. It is located in the county so you pay no city property taxes. As an added bonus, this neighborhood is in the Rossview School district. Schools are 2 miles away where children will attend the schools, Rossview Elementary, Rossview Middle and Rossview High all on one school campus. Learn more about the schools at Clarksville Montgomery County School System Website. Shopping and restaurants are easily accessible with a short 7 minute drive to Governor Square Mall area. Historic Downtown Clarksville, a 20-minute drive, offers plenty of history, restaurants and boutiques. There are music events and festivals in the downtown area and on the river. Austin Peay State University also has lots of activities and excellent sports programs. It is a quality-built neighborhood with architectural accents that will make you proud to live here. If you can't find exactly what they are looking for, floor plans and custom building are available to get exactly what you want. The HOA helps keep the neighborhood looking good and oraganizes annual events like the spring and fall yard sales. Trash pick up in included in the low monthly fee. There are area ponds and plenty of places to walk and ride bikes. Click here to learn more about the monthly fees and the professionally managed HOA. Contact Debbie Reynolds to learn more about Farmington or any other Clarksville TN neighborhood. Search all available Homes for Sale in Farmington.